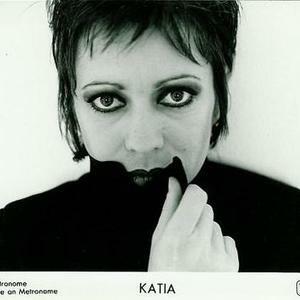 Katia is a name used by several artists 1. K?tia is the name of a Brazilian Baile Funk singer/rapper/artist (MC K?tia) she's produced music since 2004. She colaborates with Julinho Rasta on the Slum Dunk presents: Funk Carioca album, which is one of the most well known compilation albums in the genre worldwide. 2. Kat?a is a singer-songwriter from Amsterdam. Her debut will be released in Paradiso Amsterdam, september 24th 2011. Visit her website: www.soundslikekatia.nl or www.myspace.com/soundslikekatia. 1. K?tia is the name of a Brazilian Baile Funk singer/rapper/artist (MC K?tia) she's produced music since 2004. She colaborates with Julinho Rasta on the Slum Dunk presents: Funk Carioca album, which is one of the most well known compilation albums in the genre worldwide. 2. Kat?a is a singer-songwriter from Amsterdam. Her debut will be released in Paradiso Amsterdam, september 24th 2011. Visit her website: www.soundslikekatia.nl or www.myspace.com/soundslikekatia. 3. For the Lebanese Star Academy graduate, please change your tags to Katia Haraki.